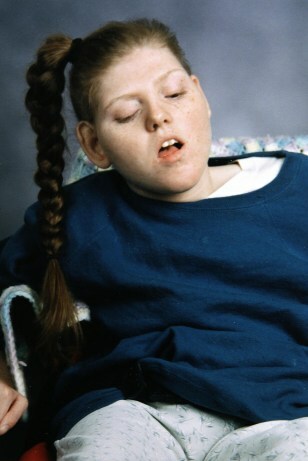 Christina Welch, shown in this 2005 photo, suffered permanent brain damaged after her father violently shook her when she was two-months old. She never learned to walk, talk, or sit by herself and died in March 2006. She was 19.